New South Wales motoring organisation NRMA has released the results of their annual Vehicle Operating Costs Survey, awarding the Nissan Patrol DX 3.0 litre turbo-diesel manual wagon the lowest operating costs in its segment - SUV (4WD) Large. The Patrol DX, with weekly running costs of only $228.75 per week, was the most economical in its class against competitors such as the Toyota LandCruiser and Ford Explorer. 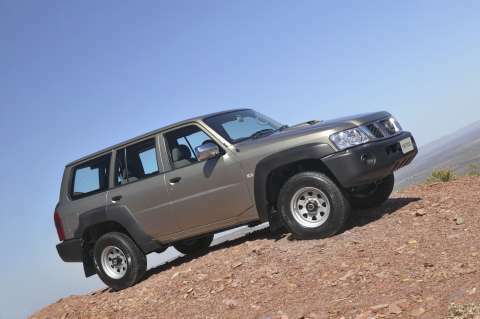 Nissan’s nearest rival, the Toyota LandCruiser 4.2 diesel manual cost $265.53 per week to run – 16% more than the Patrol DX. The LandCruiser was also more expensive than the Patrol ST, ST-S and ST-L 3.0 litre variants. The entry-level five-seat Patrol DX wagon offers many standard appointments including air-conditioning, driver’s airbag, central locking, power mirrors and a CD player. Nissan’s legendary Patrol delivers luxury and comfort with genuine off road capabilities at a reasonable and competitive price. Low operating costs are an added benefit and contribute to a fabulous package. Nissan’s managing director and chief executive officer, Mr Shinya Hannya commented on the pleasing accolade. "We are delighted the Patrol has received this award for low operating costs from the NRMA. The award makes the Patrol even more attractive to our consumers," Mr Hannya said.